I was given the opportunity, one week before the opening of the IAA, to take a peek at Hall 11 of the Frankfurt exhibition grounds. Here I have two dozen pictures of BMW stand - an exclusive look behind the scenes! Exclusive Interview with Wolfram Greiner - the manager for BMW Group trade fair presentations provides insights into the current state of things, the concept of the new presentation and some of its highlights. Es gibt einen Neuen im Revier. Einen, mit Muskeln. Einen, mit Machtanspruch. Der neue BMW X5 läuft seit einigen Tagen vom Band - und hat große Spuren seiner Vorfahren zu füllen.There‘s a new kid on the block. One with muscles. One looking to make a mark. 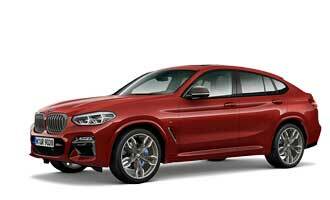 The new BMW X5 has been rolling of the line for a few days now - and has big shoes to fill. Zurück in Frankfurt. Denn es ist wieder soweit: Die IAA öffnet ihre Tore. Für zwei Wochen im September konzentriert sich der Blick der Automobil-Industrie auf einen Ort. Und ich bin - zusammen mit euch - mittendrin ...Back in 2005 I was invited to blog about the Frankfurt Motorshow IAA the first time. Since then, I visited the IAA every time - in 2007, 2009 and 2011. Now, it's time to do it again. What it is, to be responsible for the exterior design of the BMW 3 series Touring and the BMW Concept Active Tourer? I talked to designer Michael de Bono. Remember this one? Yes, it’s the carbon body of the coming BMW i3. To be more concrete, it’s the same carbon body that stood in Paris until last Sunday. Since Wednesday it now has a place at the all new BMW Welt in Munich. More details will follow during the next days! The End is The Beginning Is (not) The End.